Minimizing the risk of injury is of the utmost importance when it comes to potentially dangerous methane-producing landfills. Maximizing safety during installation, modification, and maintenance of methane gas extraction lines is key. In a recent landfill project – a high-density polyethylene (HDPE) methane gas extraction line modification – owners sought a solution that would offer a guaranteed full seal and on-site safety. Enter Victaulic® Refuse-to-Fuse™ – a small and large diameter product line for HDPE pipe that thrives in adverse and extreme conditions, boasts visual verification of proper installation, and offers a way to mechanically join HDPE, which is inherently safer than fusion in a landfill environment. Given the presence of methane gas, mechanical joints for HDPE minimize the risk of combustion as little to no electricity is required for installation. In this instance, the landfill owners discovered Refuse-to-Fuse and were excited for a new solution that they would be able to use even if the line in question was out of round, wet, and oxidized. 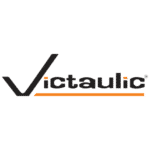 In instances requiring grooving, the use of Victaulic’s hydraulic tool option meant reducing the possibility of fires inside the piping, something that had been a challenge for the owners in the past. Considering their successful experience with this methane gas extraction line modification, the owners look forward to leveraging mechanical joints for simplicity and safety on future MRO projects.